I wanted to start a little series showing what we have got for baby girl so far. We don't need everything again as we did keep somethings from Paige and Parker just in case we decided to have another but lets face it, it's so exciting to shop for baby items. There are constantly new items coming onto the market and so much changes. I thought it would also be fun to include some items that I've been sent to review. First up are this blanket and these sleepsuits. Both from Primark. I love Primark for baby items, they are such good value and so cute. Paige adores the bunny sleepsuits because she has some bunny pjs too. The blanket was only £4 and the sleepsuits were £6.50. Next up is an item I was sent to review. 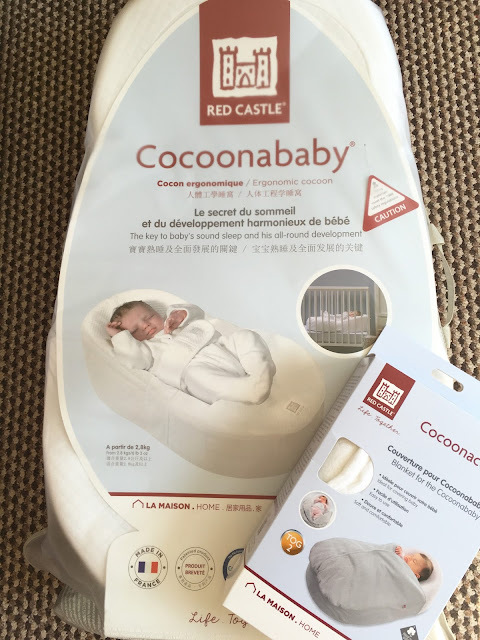 The Cacoonababy from Red Castle. I am so excited to try this out and let you all know what I think. It is said to improve the quality and length of sleep. Reduce waking with a start or Moro reflex. Limit reflux problems. Minimize the risk of flat head and encourage all-round development. The Cocoonababy® nest includes the Tummy Band reassures and soothes baby by applying a light pressure on babies tummy. 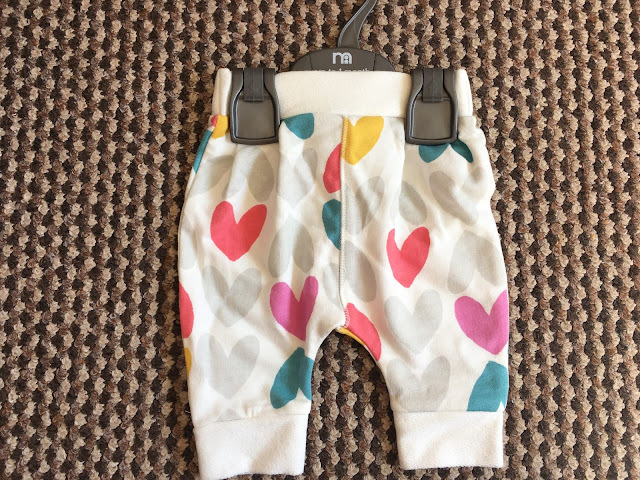 Another clothing item are these super cute heart joggers from Mothercare. Mark picked these up, he just couldn't resist. I must admit that we usually don't buy many clothes from Mothercare, it's just somewhere we never really think to go for clothes but they have some really cute items in at the moment. These were £6. Last up is an electric steriliser. This one is the new one from Tommee Tippee. 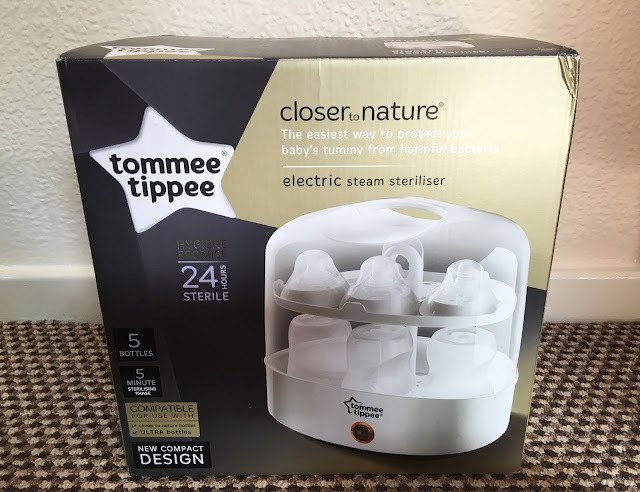 We really loved using the Tommee Tippee closer to nature range with Paige so we are excited to use it again. We used a microwave steriliser with Parker and to be honest much prefer the electric ones. We were also sent this to review so watch out for that! I still need to buy some bottles and a bottle brush. We saved the Perfect Prep machine from when we had it with Parker so I'm excited to be able to use that again too, we just need a new filter. If you haven't checked out my youtube video on my perfect prep demo then please do. Parker was so small! We have a few more things I really want to get. Bottles, bottle brush, filter, a changing mat and a wrap are on my list. Baby girl also needs more clothes. I went through what we have the other day and she doesn't have much at all. What would be on your baby buys list? Those cocoons are fab. Had one on all four of mine.